I want to start off by saying that I loved this movie. I had many questions going into this movie and not many were answered towards the end of it, but baring that I absolutely loved this movie. Marvel has taken an interesting approach to this movie. The storyline spans decades into the past and future. Using characters and actors from the original X-Men movies and ones from the new adaptations. The story starts off a few years from now. The world is a desolate place controlled by Sentinels, gigantic robots with an arsenal of weaponry that has 0 equal. The Sentinels can also adapt to any situation as well making them almost impossible for the mutants to defeat. Both humans and mutants are targeted by the Sentinels. A small group of X-Men survived the onslaught of the Sentinels and have been trying to find a way to defeat the Sentinels. All attempts lead to them all being destroyed. Their only saving grace is the ability to send one X-Man back in time a few days before to warn themselves of the Sentinels are coming. The remaining few are constantly on the move. Charles Xavier (Professor X) and Erik Lehnsherr (Magneto) have the idea of trying to send someone’s conscious back decades into the past to stop the Sentinels from wreaking havoc. The only mutant who can survive travel back in time is Logan (Wolverine), due to his healing ability. A normal persona brain would be ripped apart, so Logan is the clear choice. Reluctantly Logan wakes up in his former self and is tasked with finding a young Xavier and asking him for his help. Xavier back then was a broken man filled with grief and depression. In the last instalment (X-Men First Class) Xavier was paralyzed and his long time best friend Raven (Mystique) left to accompany Magneto. The moment in the past Logan was sent to stop was the assassination of Bolivar Trask, the creator of the Sentinels, by Mystique. Trask is a scientist who believes mutants are humanities greatest threat and would stop at nothing to see their annihilation. Mystique has been acting alone since Magneto has been imprisoned for the assassination of JFK. The movie keeps a very good balance between past and present scenes, making sure all characters get their due justice. I give this movie a 5/5. It delivered on all aspects and the storyline is very unique. I wanted to give my rating now before I state the questions I had. Where did Kitty Pryde get the powers to send Logan back? I thought her only power was the ability to phase through walls and other solid objects. But she magically has the ability to touch your temples and send someone’s conscious back in time? Many she was always able to do that and I had no idea, but just seemed weird I never heard of those powers of her. Why put Havok in the movie? 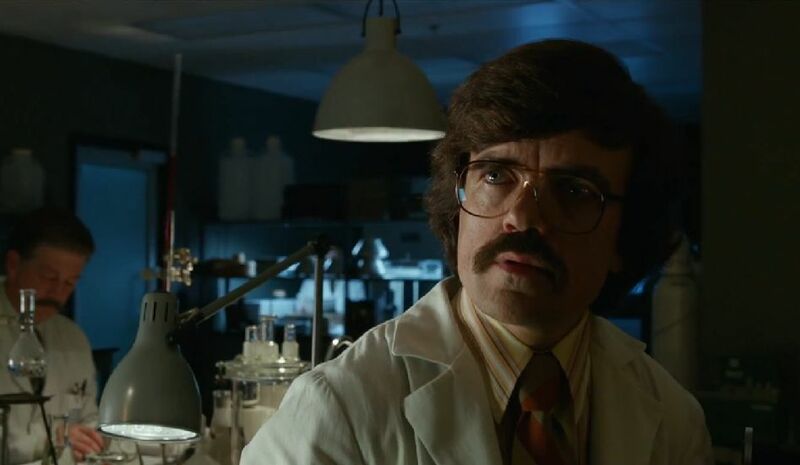 He had a big part in X-Men First Class, but in Days of Future Past he was in one scene. One simple scene? It wasn’t even like “Oh no we have a problem; thank God Havok is here to save the day!” Just seemed like a total waste of time for the actor and the company to put him in it. They explained in the movie that some of the X-Men were killed early on, so why not just kill off Havok? Where did all the Sentinels come from? This is the biggest question I had because the X-Men cartoon show in the 90s explained that. 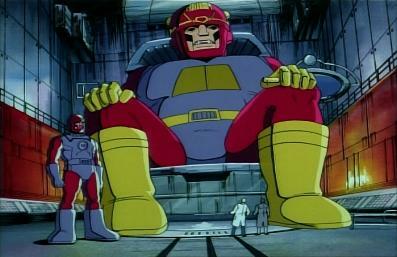 In the cartoon, there was a super Sentinel named Master Mold. He was literally a giant Sentinel that was constantly building the Sentinels. His chest would open up and out would pop another one. He was pretty much a giant factory built by Trask in the show. There were seemingly hundreds of Sentinels in some scenes, so where did they come from? If the Sentinels were targeting humans, then why did the humans keep building them? We learn from the beginning that the Sentinels started off targeting mutants and then started targeting humans with the mutant recessive trait that they could pass to their offspring. So why keep building them? Was there some kind of moment when the humans were being targeted the Sentinels said “Mutant trait detected” and then they opened fire on the humans? Even though I had questions, I still loved this movie. I thought the ending was a little flat at the final scenes, but really enjoyed it. Make sure to stay for the ending credits for a scene that lead to another X-Men movie. Again, a 5/5 and a must see for X-Men fans. 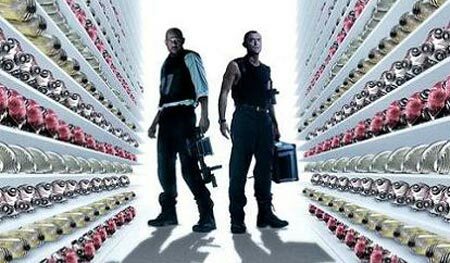 The movie Repo Men really got me thinking. The premise of the movie is a time when organ donors don’t have to wait for someone to die to get the organs they need. The organs are manufactured and purchased by the donors. I can see this happening someday. It doesn’t seem like am impossible thing to do. The way technology is going, this can happen in about a decade. At the least the first ideas of it. It’s rare for a movie in this day and age to have such an original concept. Looper delivers as an action hit and also delivers as a personal story. The concept is simple, yet complex. In the future, the Mafia sends the targets that are to be killed through time, where a Mafia member is waiting for them in the past to kill and dispose of the body. The people in the past are called Loopers. Joseph Gordon Levitt plays Joe, a Looper junkie just looking for a way to end this. The way your get out of being a Looper is to kill yourself. Not yourself in the present, yourself in the future. When the Mafia ends your contract with them, they send you, 30 years in the future to you in the past for you to kill yourself. Each kill gives the Looper silver bricks, which is rare in the present time. When you kill yourself you get gold bricks. So Joe is just waiting and hoping to eventually kill himself. The Looper waits at a location and when at a certain time, a person appears with a bag on their head. The Looper simply shoots the person, takes the payment, and disposes the body. Now to where the story gets intense for Joe. What happens when yourself appears before you and escapes? And what if yourself in the future wants revenge and wants to kill the Mafia? This is problematic for Joe for a number of reasons. 1 beings since he failed the Mafia will come looking for past Joe to get future Joe. If Current Joe is killed than Future Joe is killed. That’s how the rules of this movie works. 2 Joe has to stop his future self from destroying the Mafia that he’s in now. Also Future Joe has another agenda. He has to kill a child, who 30 years from now is the head of the Mafia. There are 3 possible children that are his targets and Future Joe decides to kill them all just in case. As he’s running away from the Mafia, Current Joe finds a woman on a farm and her child. Who (spoiler) is one of the kids Future Joe has to kill. So with the Mafia and Future Joe coming after this child and himself Joe has to defend the family and for all intents and purposes, his future. A 5/5 and a must see movie.